Horizon Fuel Cell Technologies begin shipments of the world’s first miniaturized hydrogen fuel cells and refueling stations for use in model hobby radio controlled vehicles. Named “H-Cell 2.0”, the unique hobby-scale fuel cell power kit replicates the function of real-scale zero emission hydrogen powertrains being developed by the world’s leading automotive manufacturers. The hybrid power kit is also adaptable to other electric vehicles, including robots and boats, greatly extending their normal runtimes. 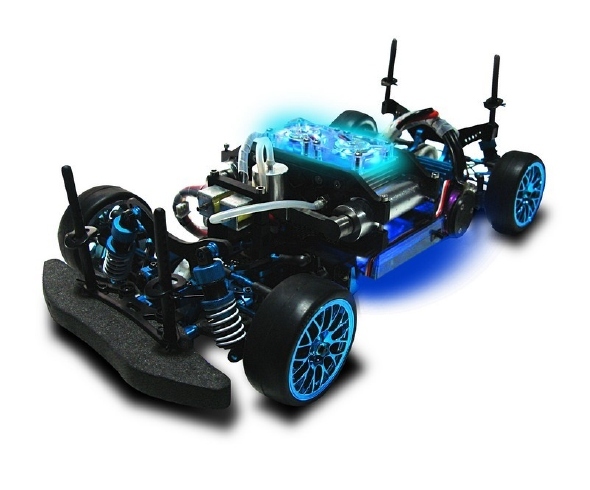 Radio controlled vehicles are a global multi-billion dollar phenomenon involving specialized clubs, racing events, magazines, and a great variety of models and spare parts that can be purchased at model hobby stores. Built to look like real cars, boats or planes, these fast and technically sophisticated machines are no toys. They are built from the ground up by engineering enthusiasts of all ages, and are typically powered by high performance batteries, miniature combustion engines, miniaturized jet engines, and now – hydrogen fuel cells! While the scientists and engineers at Horizon Fuel Cell Technologies continue to develop real-scale applications of the technology into the future, commercialization has already begun in smaller-scale applications, including toys, hand held electronics, portable generators, and recreational power devices. The new H-cell 2.0 fuel cell power kit for model scale RC vehicles is being introduced to global hobby enthusiasts this year, starting in Europe with the upcoming June 17 “Mondial du Modelisme” in Paris. (Hall 3 / Booth E5).